With RHINO™ II 330W Pantec offers a flat bed embossing system perfectly fitting for the refining requirements on semi-rotary machines. A resulting web speed of 40 m/min for complex multi-stepping / multi-foil designs make RHINO™ II 330w the first choice when it´s up to small batch high quality labels on semi-rotary presses . Gallus TCS 250 integration is available, either into the semi-rotary section or after the semi-rotary section. Integrated into the semi-rotary section is preferable, although more costly. 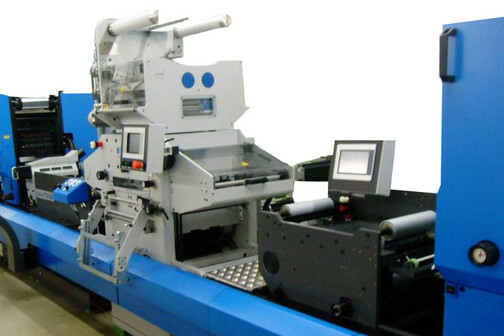 It allows varnishing and printing with offset, flexo and screen on top of the stamped area.